Iridology is a non-invasive alternative medicine technique that involves studying the coloured part of the eye, as the iris can be used to understand every organ of the body. 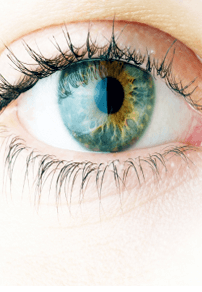 Observations of the iris can be used as a de facto window into the body itself. Through iridology, we have an amazingly effective way to understand more about our clients’ health. For example, signs of discolouration in the iris can reveal weaknesses in the body, and this can lead to preventive health care strategies. In this way, iridology is a highly useful diagnostic tool for detecting problematic signs that in time could lead to disease or disfunction. Once we can understand what is really going on in your body, we have a remarkable tool for predicting potential future problems. The precursors to damaging conditions may exist. But once these issues are identified, imbalances can be properly addressed with everything from herbs and proper nutrition to exercise. Trudy Cadoo is a naturopath who specialises in a wide range of issues ranging from weight loss, nutrition, and detoxification to stress and mood disorders, metabolic syndrome and fatigue. Through the process, Trudy will use different diagnostics tools including our in-house pathology testing. Herbal and natural remedies may be prescribed.